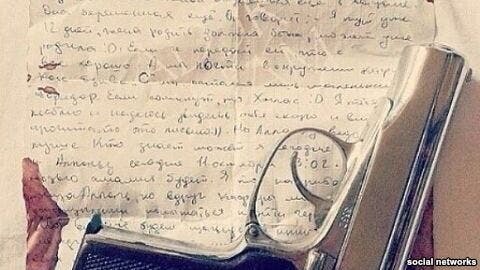 A bloodstained and crumpled love letter retrieved from the body of a Russian-speaking militant fighting for the Islamic State of Iraq and Syria (ISIS) has been recently surfaced online. “I really was very happy with you, and we will meet soon in Paradise, my love…,” read the letter, which was found in the militant’s pocket. The author was allegedly killed by a tank shell in Aleppo, reported UK paper The Guardian. The letter has been widely circulated on ISIS-affiliated social media accounts. But this is not the first time that social media has examined romance in the violent world of the militant group. Jihad “promises adventure and asserts that the codes of medieval heroism and chivalry are still relevant,” Creswell and Haykel wrote. Saad bin Laden, son of al-Qaeda’s founder Osama bin Laden, recorded a video letter to one of his wives in 2008, according to Business Insider. “My beloved wife…Know that you do fill my heart with love, beautiful memories, and your long-suffering of tense situations in order to appease me and be kind to me, and every time I thought of you my eyes would tear for being away from you,” bin Laden wrote. The letter was recently released in declassified documents held by the United States. 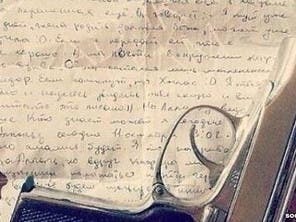 Letters written by women living in ISIS-held areas have also been found, mostly in ISIS’ Russian-language sites. As of December 2013, an estimate of 1,700 ISIS fighters came from Chechnya, reported the Guardian.